This product is a multi-sampled Premier® "Phil Collins-style" drum kit made to be played from Sonic Reality’s Infinite Player. 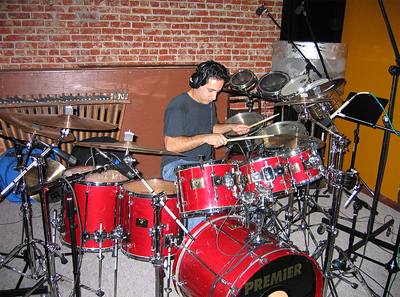 It was recorded in Pasadena, California at "Mower Studios" with progressive rock drummer Nick D Virgilio. It is a large sized kit and features Timbales as toms which is something Phil Collins used to do in the early 70's. A rare sounding vintage kit!. Ross Garfield, the Drum Doctor, provided the set for Nick with tweaking and tuning to reproduce this particular character drum sound. 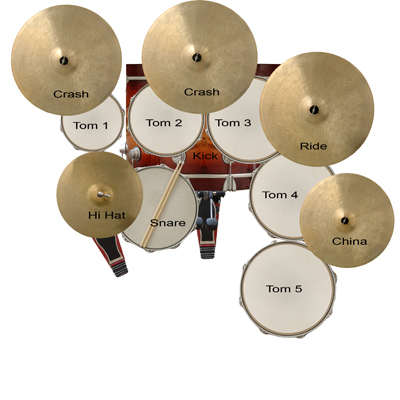 This kit has a five-tom set tuned and sampled perfectly for modern rock drums. 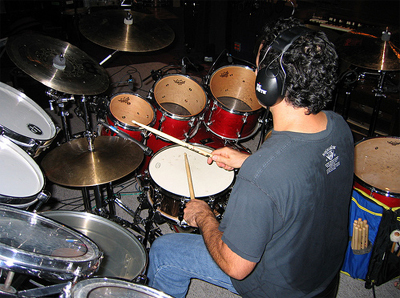 Nick D Virgilio aka "NDV" is one of today's top modern rock / progressive rock drummers. He has worked with Genesis, Spock's Beard, Tears For Fears, Kevin Gilbert, Jordan Rudess, Mike Keneally, as well as numerous other side and solo projects. Nick delivers everything from solid pop grooves to quirky odd time signature progressive rock rhythms and is one of the only drummers to have a fluid effortless feel on par with that of one of the most distinct sounding drummers in rock history, Phil Collins. Premier Kick Drum: 22" x 18"
Toms 10" 12" 13" 14" 16"
Kit Info: The NDV Premr kit delivers a classic unique sound with exquisite audio quality and ultimate versatility. Take your studio's versatility to the next level with the NDV Premr Multitrack kit!